as well as the unstoppable Golden Tornado Football team, winner of multiple state championship titles. 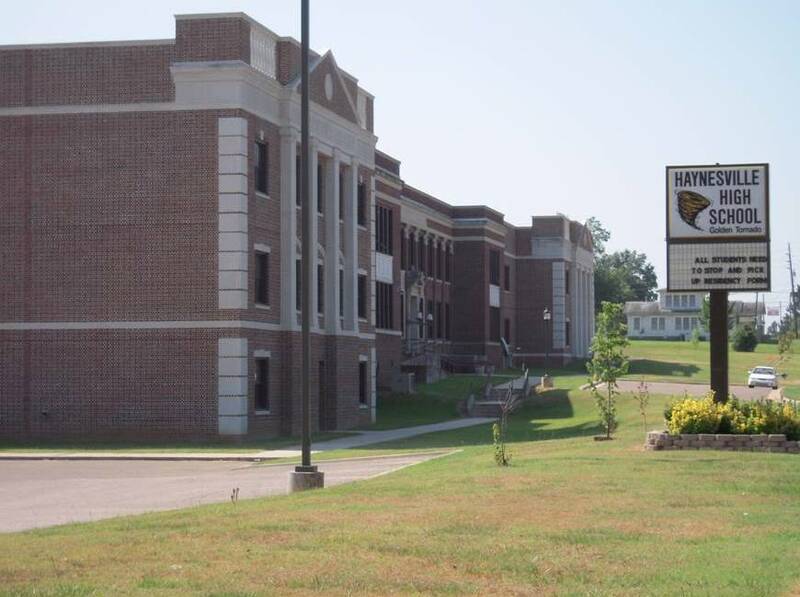 Haynesville's public school system includes kindergarten through twelfth grades in elementary, junior high and senior high school. Two kindergarten through twelfth grade private schools (Claiborne Academy between Homer and Haynesville and Mt Olive Christian School in Athens) also serve the area. A Vocational-Technical school is in Minden (34 miles). Universities and colleges are located in Ruston and Grambling (50 miles), Magnolia, AR. (22 miles), and several in Shreveport (60 miles).